Rosemary Wells‘s career as an author and illustrator spans more than 30 years and 60 books. She has won numerous awards, and has given readers such unforgettable chara cters as Max and Ruby, Noisy Nora, and Yoko. She has also given Mother Goose new life in two enormous, definitive editions. Her latest book, Voyage to the Bunny Planet, is a collection of the Bunny Planet stories. David Wiesner is one of the best-loved and most highly acclaimed picture book creators in the world. To date, David Wiesner has illustrated more than twenty award-winning books for young readers. Two of the picture books he both wrote and illustrated became instant classics when they won the prestigious Caldecott Medal: Tuesday in 1992 and The Three Pigs in 2002. Two others, Sector 7 and Free Fall, were named Caldecott Honor Books. 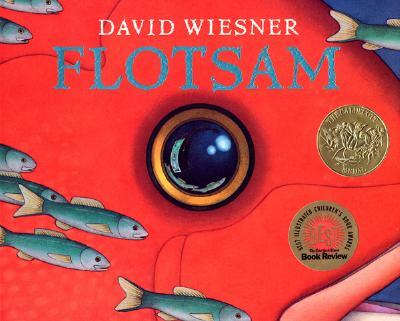 Flotsam, his most recent work, was recently named winner of the 2007 Caldecott Medal, making Wiesner only the second person in the award’s long history to have won three times. These readings, presented in association with the Houston Public Central Library Grand Re-opening take place on June 1st at the Houston Public Central Library, 500 McKinney Street. Rosemary Wells will read at 1:30pm; David Wiesner will read at 3:30pm. Admission is free and open to the public. For more information, for more information visit the Inprint website.